Emily Arnold McCully won a Caldecott Medal for her book Mirette on the High Wire. 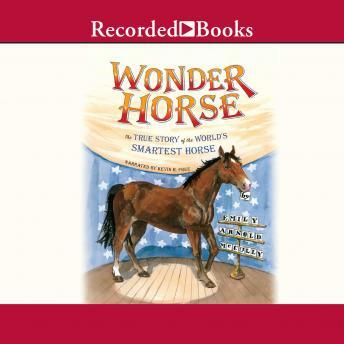 In Wonder Horse, McCully crafts a charming tale based on the true story of Doc Key and his remarkable horse Jim. When Doc Key decides to breed a racehorse, what he gets is a foal with weak legs yet an unusually sharp mind. So Doc decides to teach his horse some new tricks-including reading and writing.